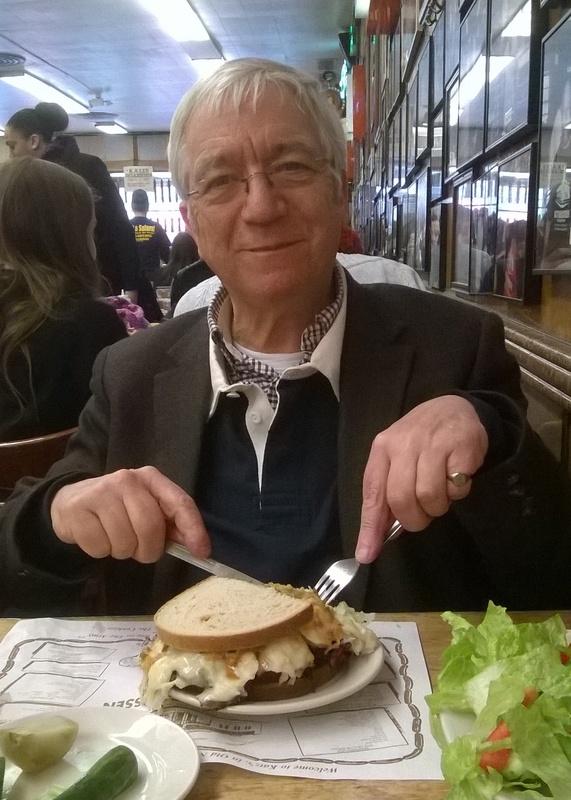 Last week I was taken to lunch at Katz’s Delicatessen, also known as Katz’s of New York City. 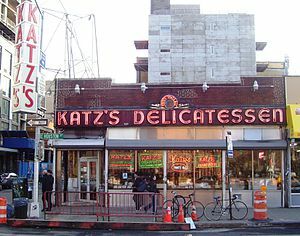 It is a kosher style (not kosher) delicatessen restaurant located at 205 Houston Street, on the southwest corner of Houston and Ludlow Streets on the Lower East Side in Manhattan, New York City. Since its founding in 1888, it has become popular among locals and tourists alike for its pastrami sandwiches and hot dogs, both of which are widely considered among New York’s best. I went for the pastrami sandwich and as can be seen it looked as though I was eating for England. Was it worthwhile – you betcha! And I also took half a portion of chips and some dill pickles but I eschewed the lettuce as overly green things tend to be harmful.